The post Globe iPhone Forever Plan Promo Explained appeared first on YugaTech | Philippines, Tech News & Reviews. Globe’s introduction of the iPhone Forever Plan will certainly confuse some subscribers so we’ll explain it to you as simple as possible. The first clarification would be that the iPhone Forever promo is a completely new set of iPhone specific plans. This is on top of the existing MySuperPlan and Platinum Plans. The basic premise of the iPhone Forever Promo is that under that plan you are able to get a new iPhone each and every year it is released with Globe at NO additional cash-out as long as you surrender your old iPhone. With the regular MySuperPlan and Platinum Plans, you will have to wait for 2 years. With the iPhone Forever, each year there is a new iPhone you can switch your old one with the new for free. Your contract is still 24 months and is not extended. 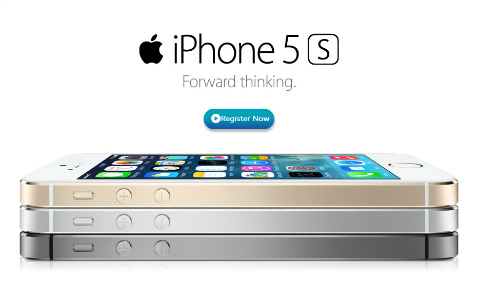 The iPhone Forever Plan promo is only valid from November 15 to December 31, 2013. Here are the requirement for the free switch every year. * You will have to continue with your existing iPhone Forever each year you switch to a new free iPhone. * For the iPhone 5c and iPhone 5S, eligible handsets for the free switch is the iPhone 4s and the iPhone 5. * Other handsets will also be accepted (like the iPhone 3G, iPhone 3GS, iPhone 4 or Galaxy S3, Note 2) but you will have to make an additional cash-out. * Maximum cash-out if you lost or don’t have your old iPhone or handset for the plan is Php12,999. * The free switch to a new free iPhone will be in effect on your 13th to 24th month of the Forever plan.